Parking lots present an interesting dilemma. When you pack a large number of drivers into a concentrated space and offer them unique traffic rules based on the layout of the lot, accidents are bound to happen. While most are low impact due to the slower speeds, bodily injury can occur. Also, unless it’s really serious, police usually aren’t involved because it’s private property. Commercial property owners must take necessary steps to prevent the occurrence of injury on their premises. This could involve the removal of ice or snow, repair of large cracks or holes in the pavement, installation of adequate outdoor lighting and establishment of safe pedestrian crosswalks. “Property owners are responsible in making the parking lot safe. They must correct any dangerous conditions and have traffic signs visibly posted,” Brad says. Most accidents involve someone backing up without looking or not obeying the traffic rules in the private parking area. “There is a lot of danger at large sporting events when people are hanging out by their vehicles and someone is trying to take a short cut and ends up running someone over. Parents need to remember to keep their kids close. Hold their hand. Children are prime targets for moving vehicles,” Brad says. 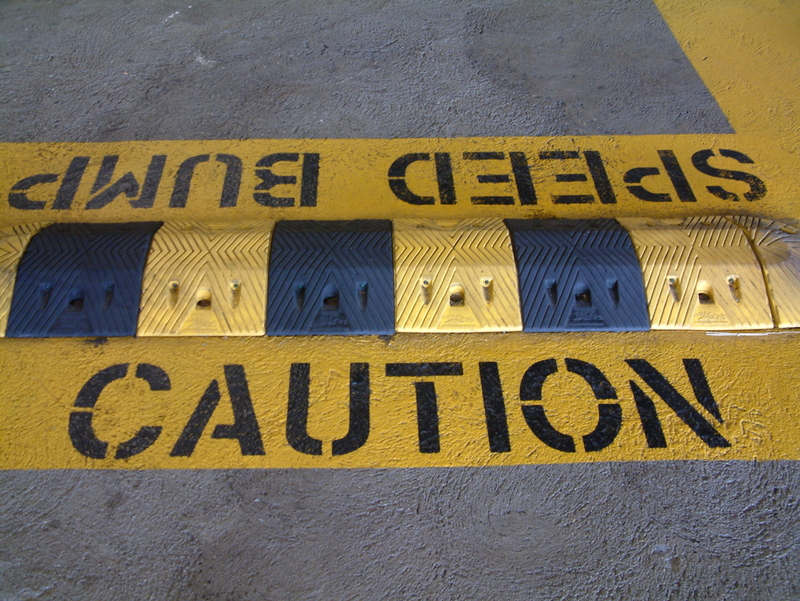 Parking lot mishaps can be avoided by simply staying alert. Both drivers and pedestrians should look around them constantly when traveling through parking areas. They should avoid using cell phones and focus more on ensuring everyone’s safety than on how quickly they can get into the store, stadium or restaurant. Stop signs: yes, you do have to stop at a stop sign in a parking lot. Turn signals: Out of courtesy for other drivers and pedestrians, put your turn signals on. Don’t cut across the lot. Lanes exist for a reason, so make sure to drive within them. All parties should be driving at a low speed, so the car that hits another car is almost always at fault. Especially if the victim’s car is parked. As a general rule, always be the slower moving car.